A big-yielding, auto-flowering cultivar of our legendary Sweet Tooth, grows compact and short (about 50 cm) with immediate-flowering and abundant bud production with yields of up to 200 grams per plant. Sweet flavors of Ripe Mango and Peaches. 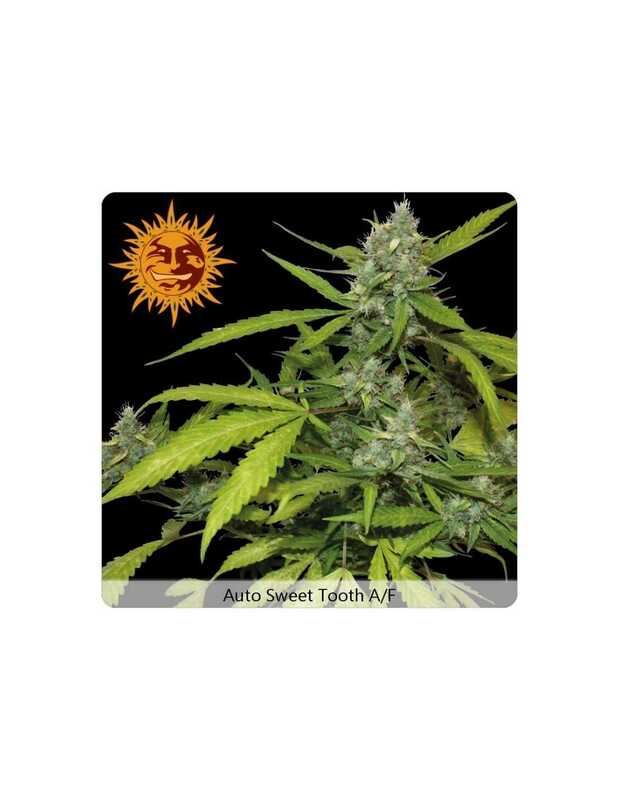 Barneys Farm - Auto Sweet Tooth seeds are feminized seeds that only produce female plants. Barneys Farm - Auto Sweet Tooth is suitable for growing: Indoor, Outdoor and Greenhouse. 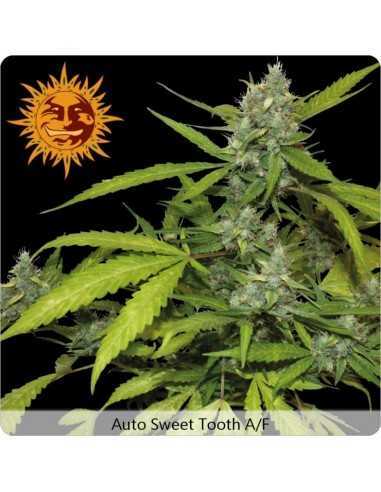 Barneys Farm - Auto Sweet Tooth contains the following genes: Ruderalis x Indica. Barneys Farm - Auto Sweet Tooth gives a ’Strong up high’ effect. Barneys Farm - Auto Sweet Tooth is an auto flower type that flowers immediately after germination. Barneys Farm - Auto Sweet Tooth grows into about 50 - 100 cm plants. The yield of Barneys Farm - Auto Sweet Tooth is about 300 - 400 grams per m2. Barneys Farm - Auto Sweet Tooth is a strain with low THC and high CBD strength. Barneys Farm - Auto Sweet Tooth is suitable for the following climates: Hot, Temperate and Cool.